So it’s no secret that at 16 years of age I was diagnosed with endometriosis and a year later I was diagnosed with PCOS (polycystic ovary syndrome). Now I’ve always been very open in discussing my health as I always try to raise awareness of Endometriosis. Before I go any further I should probably give a brief outline as to what endometriosis is, this being said I’ve decided to include Endometriosis UK’s take on endo. “Endometriosis (pronounced en- doh – mee – tree – oh – sis) is the name given to the condition where cells like the ones in the lining of the womb (uterus) are found elsewhere in the body. It is a chronic and debilitating condition that causes painful or heavy periods. It may also lead to infertility, fatigue and bowel and bladder problems. Around 1.5 million women in the UK are currently living with the condition. Endometriosis can affect all women and girls of a childbearing age, regardless of race or ethnicity” For more information, please feel free to click the link above which takes you to Endometriosis Uk’s page. Endometriosishas always had a hold on my life, with frequent hospital trips and stays, but I never once stopped to think how it would affect me being a parent, after all I never thought I would have a child of my own naturally, and it was always something that played on my mind. My pregnancy with Oliver was far from easy as I’ve mentioned in other posts, but I still had countless doctors say to me, “there is a myth that pregnancy can cure endometriosis”, which gave me hope, except it was just that…a myth. Oliver was about 3 months old when I had my first severe flare up following his birth and I remember sitting in an arm chair with one paramedic tending to me, and the other entertaining Oliver. “Your little boy is fine Amy, don’t worry. Focus on yourself and take deep breaths”. I was doubled over in pain crying, and I had Entonox (gas and air). I was admitted to hospital and spent my first few nights without my son, except not for positive reasons. My mother-in-law at the time was supportive, helped take care of Oliver and even brought him up to see me. I remember laying in my hospital bed thinking, “I have no idea how I’m going to make this work”, as Oliver cuddled up to me in bed playing with my IV lines. A year on and this blog post today is brought to you by me sat at home after being sent home from work due to a flare up. I can’t begin to describe a flare up…it’s one of those – if you know, then you know – sort of things. When having a flare up, my body is left drained. I’m left feeling sore, empty, nauseous, tired and in horrible pain. I could sleep 12 hours straight with a flare up and still wake up feeling like I’ve barely slept, and with a 1 year old thrown into the mix, the challenges are insane, Though I am very fortunate in the sense that Oliver is a really good boy and will happily cuddle up with me and watch Disney films, as well as having incredible family members and amazing friends who always offer to help. So here are some top tips for being chronically Ill and a mother. 2) Don’t be ashamed to ask for help, being a mother is challenging enough let alone with a chronic illness. 3) Find a good support group. I’m part of a few support groups for my health and always find it comforting knowing there are people going through similar situations and they can sometimes give suggestions to what things work for them. I think the thing I struggle with is stepping back and admitting some days that I’m not well and that I need help. I have oramorph (liquid morphine), Morphine patches, Tramadol and diazepam prescribed for my flare ups, however I really don’t like taking it when Oliver is with me, because the minute I take it, I need someone to help me with Oliver. 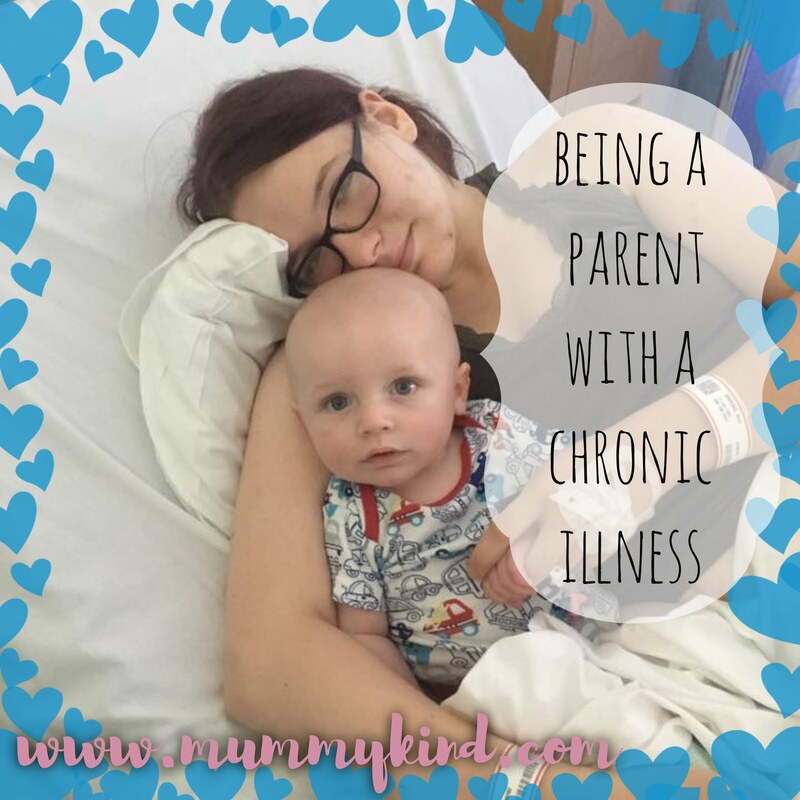 Although being a chronically ill parent is far from ideal, it just makes me that little bit stronger, a little more determined and ultimately more accomplished. I won’t ever let my illnesses affect my parenting skills, though when I’m older I do 100% expect Oliver to let me live with him where he can cook me breakfast everyday and drive me everywhere when I don’t feel well. So to all you chronically ill mums out there, keep doing what you’re doing. Keep pushing forward because you’ve got this, your health does not and will not define who you are as a parent. You have to remind yourself to take time out for you more so than ever when you have a chronic illness! Thank you for commenting! Hope you're taking your own advice and taking care of yourself, too! Previous Post Should I give my baby a dummy?